Since I recently held a series of congressional hearings on artificial intelligence (AI), I’ve been asking constituents, friends, and strangers what’s the first thing that comes to mind when I say the phrase “artificial intelligence.” If my interlocutor is older than me, he or she describes something close to HAL 9000, the scary computer from Stanley Kubrick’s sci-fi film 2001: A Space Odyssey. If the person is younger than me, he or she describes something like Ava, the manipulative and willing-to-kill humanoid robot played by Alicia Vikander in Alex Garland’s thriller Ex Machina. Having talked to government agencies about their engagement with AI and spoken with folks in the private sector about the challenges and opportunities AI brings, I’ve learned we are far from a HAL or Ava scenario becoming reality. The government adoption of AI will not bring about a government being run by robots. Instead, our government will continue to be run by people, with help from algorithms dramatically improving government services for all Americans. The government should urgently speed its adoption of AI to reduce the amount of time individuals spend unnecessarily interacting with the government and increase the speed of government response to citizens. For example, the private sector is currently using robotic process automation (RPA) to replace lost and stolen ATM cards. RPA expedites this burdensome process by automating the steps of inputting customer information to the database, cancelling the card, flagging recent charges to detect unauthorized spending, creating a requisition for a new card, inputting the new information into the database, tracking shipment, and activating the card. From reporting the card missing to having its replacement in hand, this process without RPA takes at least a week. But with RPA, the totality of these steps takes seconds, allowing the customer to get his or her card faster. So why can’t we automate government services like renewing passports? The federal government has thousands of routine business practices that require the time and attention of many federal employees. By automating these practices through AI, the Deloitte Center for Government Insights estimates that we could save at least 96.7 million federal hours out of 4.3 billion hours worked each year, potentially saving $3.3 billion dollars annually. Documenting and recording paperwork, managing services like passport renewals, and processing patent applications are practices that could all be dramatically improved with robotic automation. A great example of how AI has streamlined a government operation is the Army website’s use of an interactive virtual assistant that answers questions of potential recruits. The chat-bot does the work of dozens of human recruiters with a 94% accuracy rate. Imagine the cost savings and improved user experience if all government websites employed this seemingly basic AI-driven feature. While introducing AI into the government will save money through optimizing processes, it should also be deployed to eliminate waste, fraud, and abuse. AI enables the consumption of large amounts of data, which can be analyzed for patterns, anomalies, and duplication. In 2016, the Government Accountability Office reported that overpayments in the Medicare program totaled approximately $60 billion, almost double what the National Institutes of Health spent on medical research that same year. Using AI, the government could identify these overpayments more quickly, allowing our direct investigators to focus on the costliest overpayments, recouping dollars and saving money. Additionally, the government should invest in AI to improve the security of its citizens. Russian President Vladimir Putin said that the nation that leads in AI “will be the ruler of the world.” China is taking that mantra seriously. In July of last year, Chinese President Xi Jinping released a plan to invest heavily in AI and make China the AI world leader by 2030. It is in the interest of both our national and economic security that the United States not be left behind. 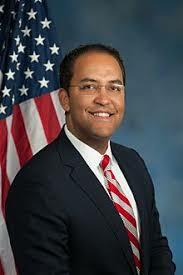 A former undercover CIA officer, entrepreneur, and cybersecurity expert, Will Hurd is the U.S. Representative for the 23rd Congressional District of Texas. In Washington, he serves on the House Permanent Select Committee on Intelligence, as Vice Chair of the Maritime and Border Security Subcommittee on the Committee for Homeland Security, and as the Chairman of the Information Technology Subcommittee on the Oversight and Government Reform Committee.